The Disney Magic, pays homage to the timeless style of the past while embracing the contemporary. Discover a magnificent vessel appointed in the Art Deco style. 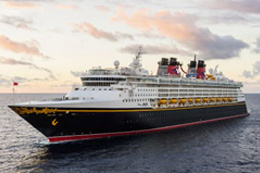 Experience Disney's traditions of extraordinary family entertainment and superb service while you ride the waves.